Olivier Giroud insists he is relishing competition for a starting spot with his Chelsea FC rival Alvaro Morata. The France international completed a £21m move to Chelsea FC from Arsenal in the 2018 January transfer window. Giroud fell down the pecking order at the north London outfit following the arrival of Pierre-Emerick Aubameyang and Alexandre Lacazette. The 31-year-old was signed to provide cover for Morata given the Spain international’s struggles in the second half of the season. The former Juventus and Real Madrid striker has struggled with a loss of confidence and loss of form over the past few months. Giroud came off the bench to score twice in a 3-2 win against Southampton at St Mary’s in the Premier League earlier this month. His two goals earned him a starting spot for their FA Cup semi-final and Giroud netted the opening goal in a 2-0 victory over the Saints at Wembley last weekend. 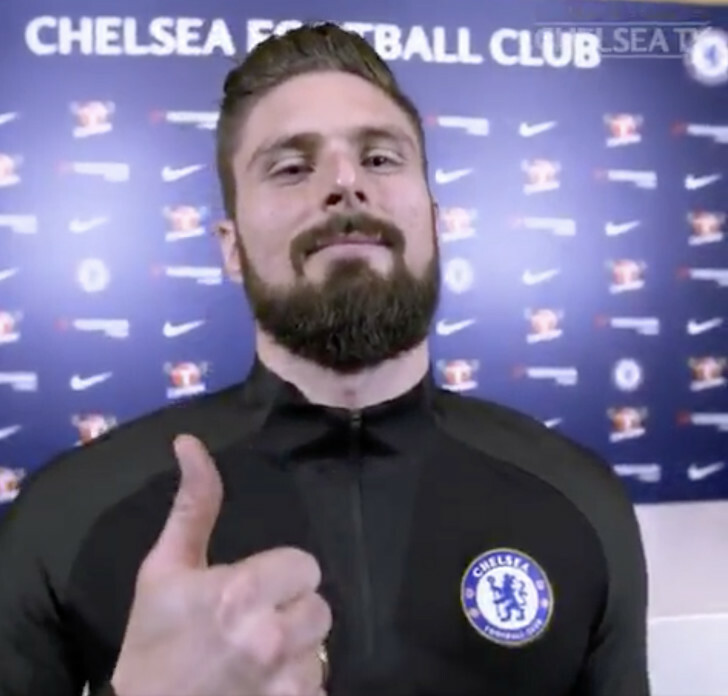 Speaking to Chelsea TV about his competition with Morata for a starting spot, Giroud said: “I think I’ve got a good understanding with the boys on the pitch and we have a great team cohesion. “We do a great job on the pitch for each other. Competition is good for strikers. Chelsea FC won the Premier League title with two games to spare last season after the west London side finished seven points ahead of their closest title rivals Tottenham Hotspur.